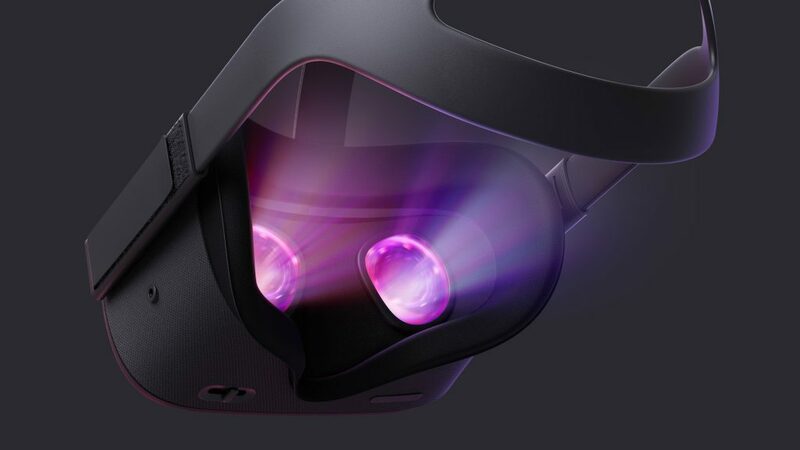 At Oculus Connect 5, Facebook announced Oculus Quest – their first all-in-one VR gaming system. Oculus Quest will launch in Spring 2019 for $399 USD, and will come included with 6DOF controllers. For many, this is the VR headset that people have been waiting for. With an all-in-one headset which can be carried around like Oculus Go, only with more complex virtual controls, the headset is primed to be a fun toy for the more affluent of folks. The specs for the Oculus Quest are interesting, though Mark Zuckerberg‘s bold claim that they will play ‘Rift-quality experiences’ may be a high statement considering its lower price tag. Fifty games at launch is not a lot, though I expect developers to move their experiences to the system following the announcement at the developers’ conference. Still, the flexibility of the design is effective. The Oculus Quest fits in a backpack, which is great for traveling. It can also be used for warehouse-scale experiences without sensors, which ruptured the OC5 presentation room. Zuckerberg joked that VR adoption will be slow, as we are barely 1% of the way towards 1bn users. However, with an affordable price point and great controls, with the ecosystem for importing Rift titles, it would be interesting to note how the tech will be adopted in Spring 2019. More analysis will be coming in the future.